In 1990 the Crime Writers’ Association published a list of the top 100 crime novels of all time. 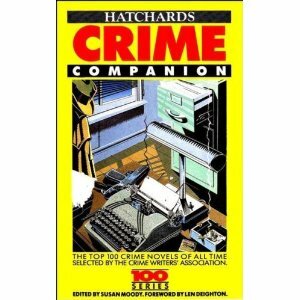 In the UK this was published as Hatchard’s Crime Companion, edited by Susan Moody. This is worth picking up as it also has essays by the likes of Peter Lovesey, Reginald Hill and Julian Symons.